Athlon Sports has released their 2018 Preseason Top 25 and the Georgia Bulldogs are ranked 3rd. Kirby Smart’s Bulldogs fell just short of a national championship last season, but it won’t be the last time this program reaches the CFB Playoff. 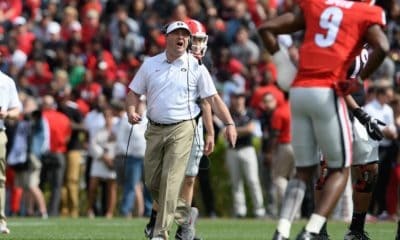 Georgia is primed for another run at the top four in 2018, as Smart’s team is likely to be favored in all 12 of its regular season contests. The defense was the strength of last year’s team, holding opponents to 16.4 points a game. This unit has a few holes to fill, namely at linebacker following the departure of Roquan Smith to the NFL. Thanks to elite recruiting classes, the cupboard is stocked with promising talent at every level. 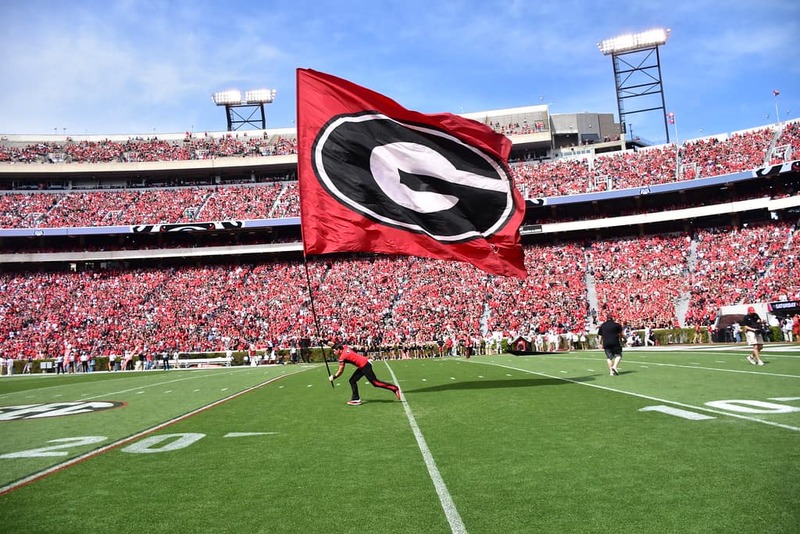 Jonathan Ledbetter and Tyler Clark form an effective duo in the trenches, while Natrez Patrick is slated to return after being away from the team for the final two contests last year. 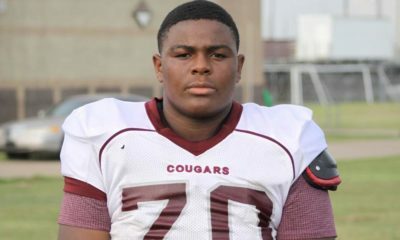 Providing a pass rush off the edge will be D’Andre Walker and Walter Grant, with freshmen Adam Anderson, Robert Beal and Brenton Cox also poised to push for snaps. Senior cornerback Deandre Baker and safety J.R. Reed will contend for All-America honors. Despite some personnel turnover on defense, this unit returns enough of a foundation to prevent too much of a drop-off in 2018. Until the defense jells, Smart can ask more of his offense. Jake Fromm returns under center after a promising freshman campaign. Fromm threw for 24 touchdowns to just seven picks but could be pushed by five-star freshman Justin Fields. 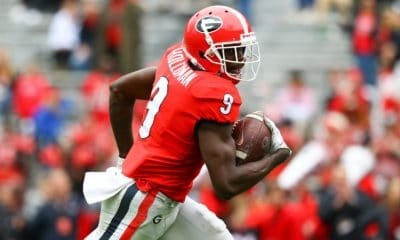 Terry Godwin should be the go-to target, while Riley Ridley and Mecole Hardman are primed for bigger roles in 2018. As usual, Georgia is deep at running back. 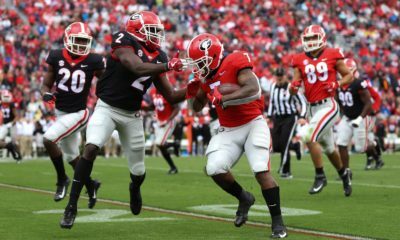 D’Andre Swift is slated to take over the starting role, with freshmen James Cook and Zamir White, along with junior Elijah Holyfield, supplying depth. With four returning starters and some promising freshmen, the line ranks among the best in the nation. Barring an upset or a loss to Auburn in November, Georgia has a favorable path to 12-0 in the regular season – setting up a showdown with Alabama for the SEC title. First in Athlon Sports’ 2018 preseason poll are the Alabama Crimson Tide. They are followed by Clemson, Georgia, Ohio State, and Michigan. SEC teams in the rankings include (1) Alabama, (3) Georgia, (7) Auburn, (14) Mississippi State, (17) Florida, and (25) Texas A&M. Georgia opens the 2018 season on Saturday, Sept. 1 at home against the Austin Peay Governors. South Carolina not in the Top 25? Seems unlikely to me.